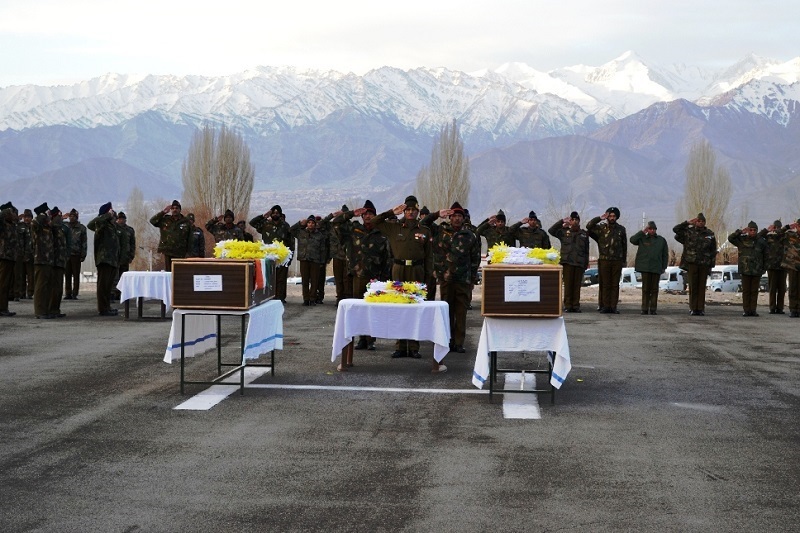 L/Hav Bhawan Tamang and Sep Sunil Rai, who were martyred during an avalanche in the Turtuk Sector of Ladakh on 25 March 2016, were accorded full military honours in a solemn wreath laying ceremony held in Leh on 28 March 2016, during which the Indian Army paid it’s homage to the brave departed souls. GOC, 14 Corps laid the wreath to honour the Martyrs. After the wreath laying ceremony, the mortal remains of the Martyrs were flown to their native places where they were accorded befitting funerals with full military honours.